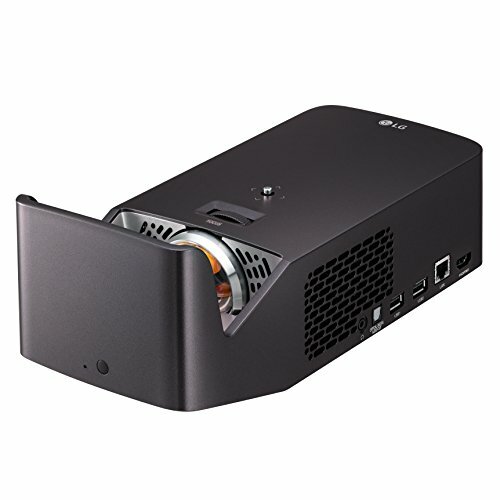 Projection Screen Size: 60" ~ 100"
The LG ultra short throw projector delivers vivid imagery within an exceptionally short distance of the projection surface. Set it just 5 inches away to get 60 inches of bright, vivid picture Full HD picture, or go farther to get images up to 100 inches. And now experience LG Smart TV (WebOs 3.0) with the included Magic Remote. Other features include Bluetooth sound out, up to 1000 lumens, 30,000 hours of lamp life and USB connectivity.